WHILE most media attention on the French regional elections focused on the fate of Marine Le Pen's far-right, anti-immigrant National Front – on the Mediterranean island of Corsica a quiet revolution was taking place. There were huge celebrations on the streets of the northern Corsican city of Bastia on Sunday night as news broke that a coalition of Corsican nationalists had taken power on the island just a year and a half on from the announcement by the armed National Liberation Front of Corsica (FLNC) that it was declaring a permanent unilateral ceasefire. The historic result saw the the nationalist coalition list Pè a Corsica (For Corsica) – which includes both pro-autonomy nationalists and pro-independence nationalists considered supportive of the FLNC – take 36% of the vote in the second round. 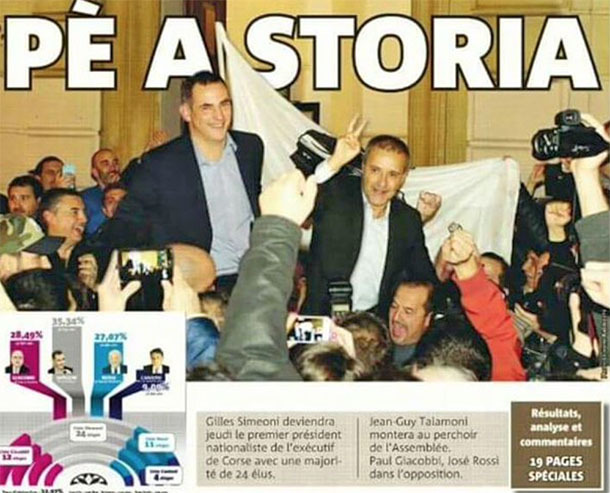 Simeoni's Femu a Corsica party had always maintained distance between itself and the Corsica Libera (Free Corsica) party of Jean-Guy Talamoni, but following the first round of elections the two major streams of nationalism came together under the united Pé a Corsica banner. Many critics claimed the alliance with Corsica Libera would deter some moderate nationalists from supporting them – but these fears did not materialise on election day as nationalists celebrated a decisive victory. “It has been a long 40 years to get to this point. This victory is dedicated to our prisoners,” he said. 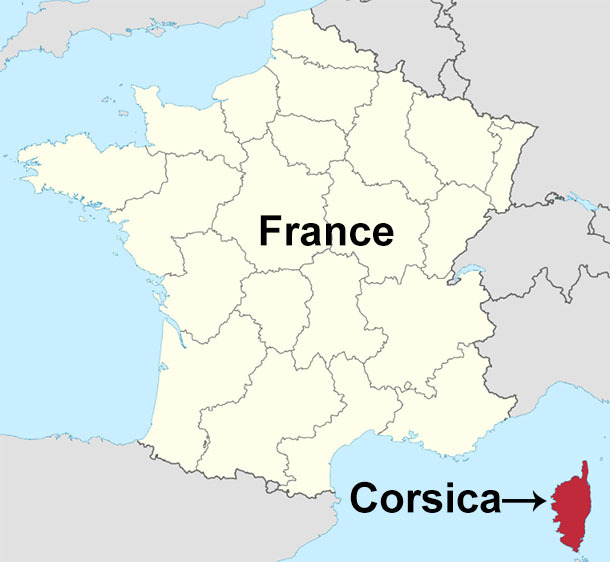 Pè a Corsica says some of its key commitments in Government will be to make Corsican the co-official language of the island, the creation of 'residential status' for native Corsicans, a separate tax system and lobby for the freedom of political prisoners. Earlier this year, more than half of Corsica's 300 local councils signed up to a petition calling for an amnesty for the more than 30 Corsican political prisoners still held in prisons across France.